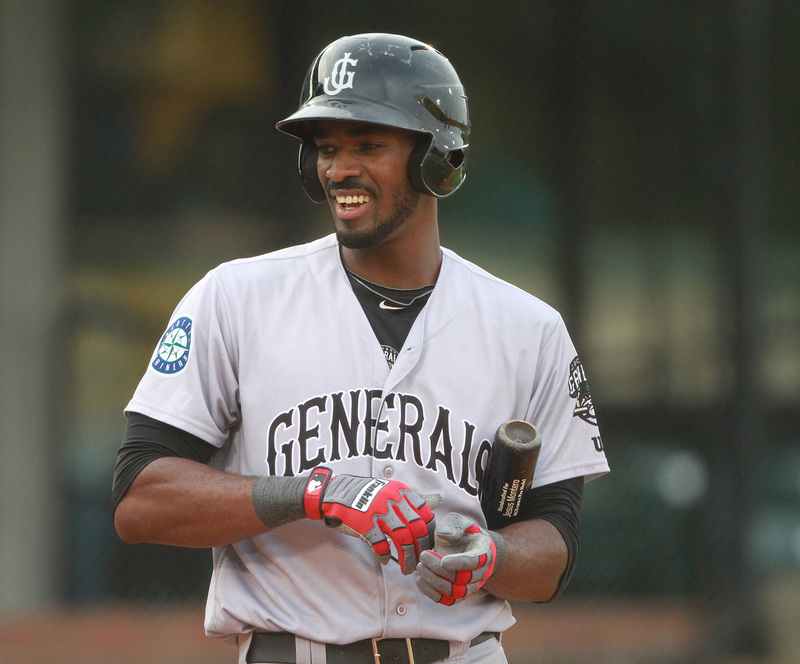 2013 Generals outfielder James Jones received an unexpected phone call about 11:20 on Wednesday night from Mariners Farm Director Chris Gwynn. “Chris told me that they were adding me to the 40-man roster and to keep working hard and doing what you are doing,” said Jones. The phone call caught him off guard as Mariners Director of Amateur Scouting Tom McNamara was also on the call. “I was speechless, it was just really awesome,” added Jones. James has for the most part fallen under the radar since being drafted out of LIU Brooklyn in the 4th round of 2009’s draft. He’s an athletic outfielder that has freakish speed and decent power for his build. He led the Southern League in triples with 10 in 2013, which was one away from the franchise record. As a whole he batted .275, with 6 home runs, 14 doubles, 10 triples and 45 RBIs. He committed just 5 errors in 101 games and logged 7 outfield assists. He did get off to a tremendous start in 2013 batting .299, with an .871 OPS during the month of April. He was a Southern League All-Star and more importantly a team leader for Jackson. Jones missed all but four games in August with a triceps injury to his throwing arm. 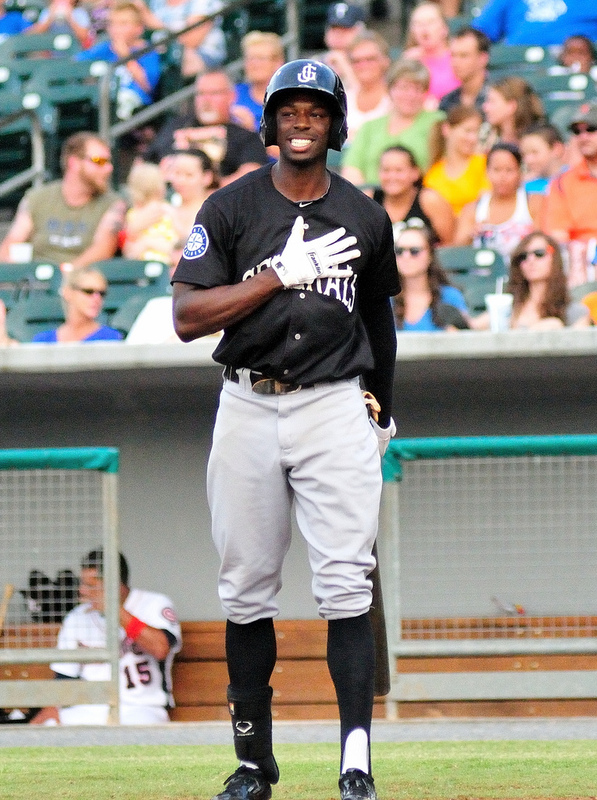 He was promoted to Tacoma and played four games for the Rainiers (where he should start in 2014) to close the season. He went from there to Arizona. “It was great to play in Co-Op games after the season. It was good to just pick up and continue playing for another month when the season ended. Our team was a split squad with the Brewers and we played the Reds, Diamondbacks, Rangers and Royals. But, I’m feeling really healthy right now. If Jones makes it to Seattle, fans will fall in love with the Brooklyn, NY native. He has a contagious personality and is always smiling. He is constantly uplifting and will do anything to encourage a teammate or even a broadcaster. This offseason he is giving back to his hometown. “On Saturday’s I work with the New York City Varsity League’s at the Brookyln Cyclones ballpark. We do drills with them and it’s just a lot of fun. Former players like John Halama and John Franco also help with the league,” Jones added. Jones on Logan Bawcom, Ji-Man Choi and Stefen Romero being added to the 40-man roster. Yes, it is only November 7th, but while following the Arizona Fall League, the Mariners hiring of new manager Lloyd McClendon and the baseball Winter Meetings coming up in less than a month, baseball is our mind. So, why not take a look at what the Jackson Generals roster could potentially look like in 2014. 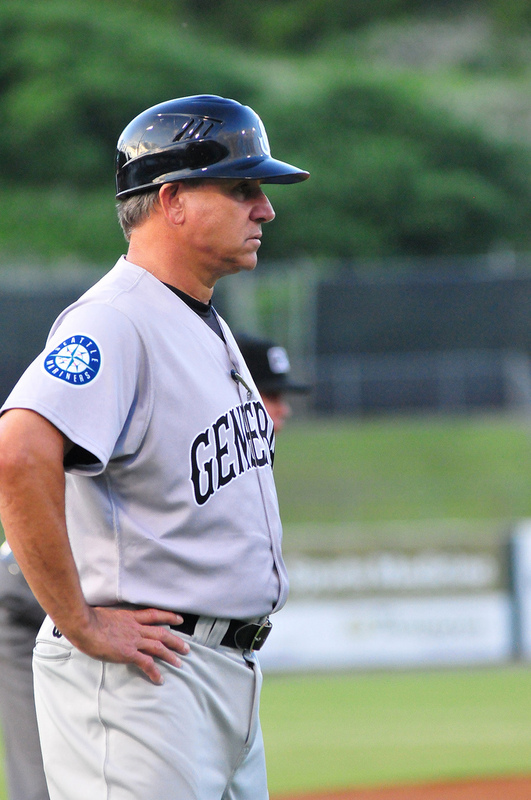 First and foremost, you need a manager, and I won’t handicap the Generals coaching possibilities like Mike Curto did with the Rainiers, but I really hope Jim Pankovits does get a promotion to Tacoma. He has earned it and is a great baseball mind. Pankovits recorded 210 wins in three seasons as Jackson’s Manager which is second in franchise history (Bobby Dickerson, 291). As far as candidates that could potentially lead the Generals in 2014? High Desert’s Jim Horner probably leads the way. Horner is a former minor league player for the Mariners and reached as high as Tacoma as a player. He has managed Low-A Wisconsin and was the California League Manager of the Year in 2009 with High Desert. He spent two years since 2009 at the college level with Texas Tech before returning to the M’s in 2013. My wildcard and wishful thinking candidate is Mr. Mariner Alvin Davis. The consummate class act and M’s legend would be terrific as a Minor League manager. Chris Woodward, who joined the Mariners as an infield coordinator in 2013 is a possibility as well. Now, on to the roster. First off, lets eliminate players that have done what is necessary to graduate from Double-A. These players, in my opinion have accomplished enough to begin the season with Tacoma (or higher) in 2014. I could see a couple of scenarios where Chris Taylor or Julio Morban end up back in Jackson to start 2014. Despite a significant amount of Double-A time for Taylor and an injury plagued season for Morban, they both have earned it. Everyone knows about Taylor and Morban, when healthy was one of the top hitters in the Southern League. Carson Smith and Dominic Leone are probably wildcards to make the Major League roster out of spring training. With that said here is a look at a 25-man projected roster. Those in blue have Double-A experience. Those in red do not. Other Candidates: LHP James Gillheeney, RHP Brett Shankin, LHP Jordan Shipers, RHP Dylan Unsworth, RHP Jordan Pries, LHP Anthony Fernandez, RHP Stephen Landazuri, RHP Edwin Diaz. 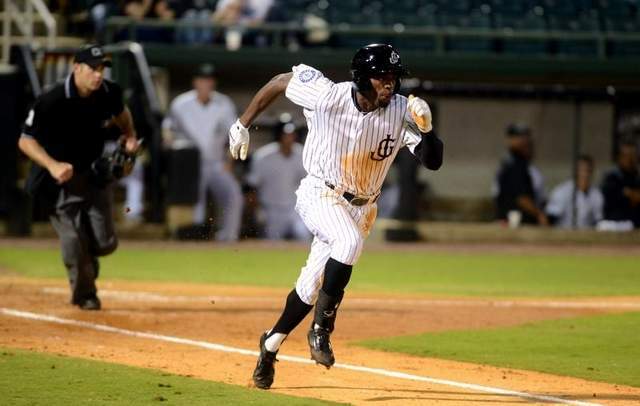 The Generals closed out the final two months of the season with four lefties in the rotation, and that could very well be the case opening the 2014 season. Top pitching prospects avoiding High Desert to me is a great idea. While Taijuan Walker struggled some in his first year in Jackson after jumping from Clinton, his development didn’t regress with the move. There are two perfect candidates for that in Tyler Pike and Victor Sanchez. Pike is the less likely of the two, who would be just 20 years old on Opening Day, 2014. The 3rd round pick in 2012 out of Winter Haven, FL was 7-4, with a 2.37 ERA with 90 strikeouts in 110.1 IP and only allowed 6H/9IP. Sanchez, the top right-handed pitching prospect in the organization not named Taijuan Walker or Edwin Diaz was phenomenal in 2013, which included a no hitter on July 17th against Lansing. The 19-year-old imposing righty from Venezuela (sound familiar?) was 6-6, with a 2.78 ERA in 20 starts, striking out 79 in 113.1 IP. The amazing stat from 2013 is he only walked 18 batters. That’s 1.4 BB/9IP. Cam Hobson, Trevor Miller and Kyle Hunter have Double-A experience and Hunter is a strong candidate to be a starter going forward. Diaz is a guy to keep an eye on. He probably will get the nod to start the season with Clinton. He was 5-2, with a 1.43 ERA 13 starts and 69 innings in 2013 for the Pulaski Mariners. He struck out 79 during that time which is 10.3K/9.0IP. Also, one of the more likely players to crack the rotation could be Jordan Pries, a 30th draft pick in 2011 out of Stanford. The Alameda, CA native was 8-6, with a 5.13 ERA in 23 starts, 24 games covering 124.2 innings. 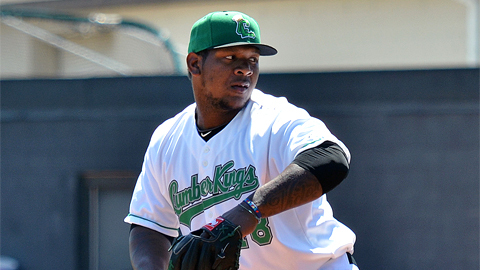 He posted 104 strikeouts which ranked sixth in the Mariners Minors in 2013. Other Candidates: RHP George Mieses, RHP Dominic Leone, RHP Stephen Kohlscheen, RHP Blake Hauser, RHP Bobby Shore, LHP Jeremy Dobbs. There really isn’t a “top prospect” out of this bullpen list, but there is some guys with great upside. Tyler Burgoon is a guy that has pitched well in Double-A, but just due to numbers probably won’t break through to Triple-A to begin the season. David Colvin’s High Desert numbers in 2013 are hard to overlook. The 27th round pick in 2011 out of Pormona College (CA) was 5-0, with a 2.34 ERA in 32 games and 62 strikeouts in 57.2 IP. He only allowed two home runs and walked just 13. Kam and Brazis were the High Desert leaders in appearances and Sena missed all of the 2013 season due to injury. Free agent Moises Hernandez is destined to be on the roster no matter what you think. If you are looking for local flair, LHP Jeremy Dobbs is from Owensboro, Ky and attended Austin Peay State University in Clarksville, TN. Other Candidates: Jabari Henry, Julio Morban, Mickey Wiswall, James Jones, Mike McGee, Austin Wilson, Nathan Melendres, Guillermo Pimentel. The four guys projected for the Jackson outfield combined to steal 85 bases in 2013. 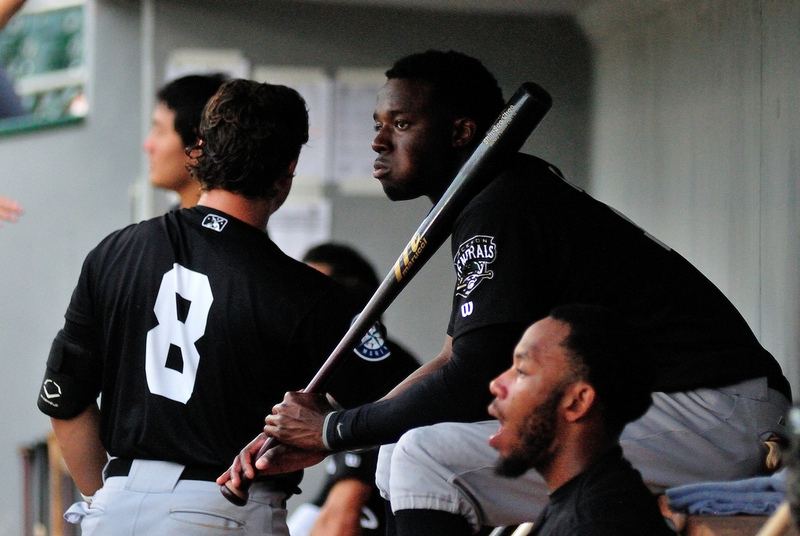 Jabari Blash and Kevin Rivers combined for 45 home runs and 171 RBIs in 2013. Offensive numbers normally don’t translate from High Desert to Jackson, but Blash actually improved on his numbers. His OPS with High Desert in 80 games was .864 and while with Jackson, 1.060. His on-base percentage jumped from .358 to .442. How do you explain that? Well, some players improve when facing better pitching and Blash was brilliant in August for the Generals. Rivers is another Franklin Pierce University guy ala Scott Savastano and Michael Dowd. Landry was one of the biggest disappointments in the organization in 2013. He batted just .216 with just a .262 OBP and 22 steals in 114 games. How can he rebound from the lackluster 2013? Better pitch selection. Leon Landry walked just 26 times in 422 at-bats. This is a bit of a do-or-die season for Leon with many young outfielders coming up in the system. Keep an eye on Austin Wilson. The 2013 2nd round pick out of Stanford played in 56 games for Everett batting .241, with 6 home runs, 27 RBIs, 11 doubles and 3 triples. Other Candidates: 2B Patrick Brady, SS Ketel Marte, UTIL Nathan Melendres, 2B Dillon Hazlett, UTIL Brock Hebert, 1B Tyler Ard. This is where it gets really exciting. Add to the fact there is a slight chance Chris Taylor begins 2014 in Jackson, this could be one of the most talented infields in Minor League Baseball. Patrick Kivlehan had a breakout season in 2013 batting .303, with 16 home runs, 90 RBIs, 25 doubles and 15 steals in 128 games combined between Clinton and High Desert. The former Rutgers football and baseball star has struggled a bit in the AFL, but the M’s 4th rounder in 2012’s ceiling is quite high. D.J. Peterson needs no build up. He was rated as the best pure hitter of the 2013 draft class and only hit .303, with 13 homers and 47 RBIs in his first 55 pro games for Everett and Clinton. The only thing that could keep the 12th overall pick out of New Mexico from beginning 2014 in Jackson is lack of pro experience and the injury he suffered after being hit in the face by a pitch in August. Jackson is no stranger to college offensive stars getting pushed quickly. 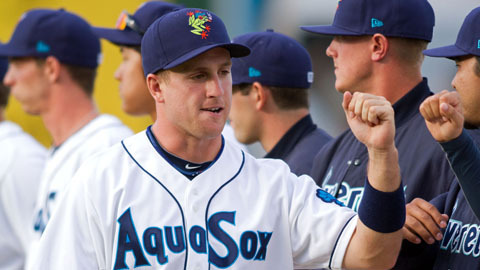 Dustin Ackley made his pro debut in Jackson in 2010. 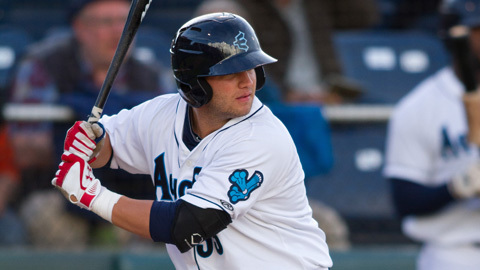 Mike Zunino played 29 games in Everett prior to his promotion to Jackson in 2012. Ackley struggled while Zunino thrived. It is not an exact science. So, while starting Peterson starting in High Desert wouldn’t be a huge surprise, he’s probably a guy that could handle the jump to Double-A ala Zunino. This is an infield heavy on the corners with Morla/Proscia/Peterson/Kivlehan all projected there. But, things usually work themselves out. Don’t rule out Kivlehan or Peterson making a jump to the outfield just to see how it goes. Jack Marder is a guy that started to figure some things out at the end of the season and Noriega has done nothing but get better offensively each year. Gabriel Noriega is the best defender in the system and turned the 2nd triple play in franchise history on June 10, 2013 vs. Chattanooga. A couple of names to look out for is Patrick Brady and Ketel Marte. That could possibly be the double play combination in the second half of the season. Marte is a really talented shortstop prospect that has a great glove. The 20-year-old from Dominican’s bat has improved, but still needs some work. I really like Brady. I heard Jabari Blash I think on twitter call him a poor man’s Dustin Pedroia. 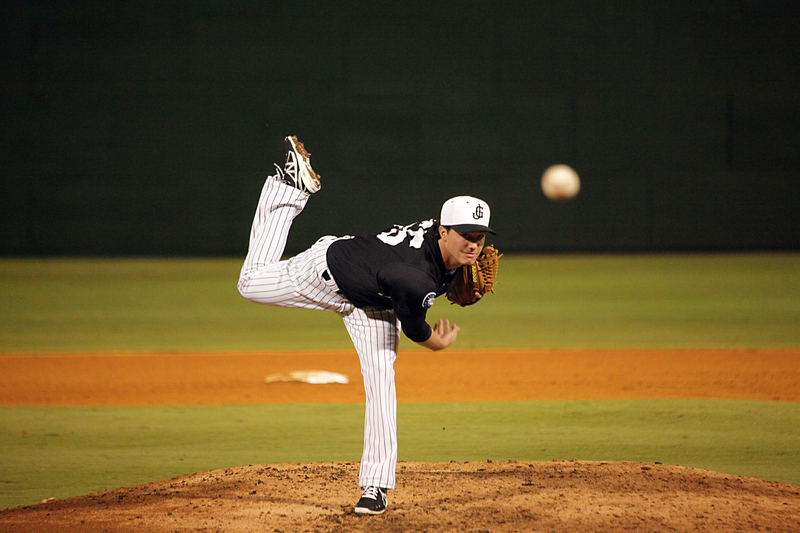 A 48th round draft pick out of Bellarmine College (KY) hit .344 in a short 12-game stint for Jackson last season. One set back is that he has never played more than 86 games in a season. But, as a utility guy, he is a manager’s dream. Other Candidates: Brandon Bantz, Steve Baron, Tyler Marlette, random free agent guy. Oh the catching situation. Is there a position that had so much hope this time last season taken a longer fall? After a deep breath…you still have some nice young players. Last year proved you can never have too many solid young catchers in an organization. Nobody in minor league baseball was better at throwing out base stealers than John Hicks in 2013. He, Michael Dowd and Brandon Bantz set a franchise record by throwing out 51.5% percent of base stealers (68×132). The next closest in the Southern League was Pensacola at 34.4%. Hicks’ bat improved dramatically in the second half of the season posting a .278 post All-Star break batting average as opposed to .216 prior. He was 13-for-17 stealing bases and had he been 100% healthy that would have been significantly higher. John was banged up A LOT in 2013 and played through a lot of small injuries nobody knew about. I think Hicks could break out in 2014. Back-up catcher is kind of a crap shoot. Dowd and Bantz are top candidates to be in Tacoma or Jackson. Steve Baron was once a top catching prospect, but the former 33rd overall pick in 2009 has yet to reach Double-A. Is this the year for Baron? Maybe. He batted just .208, with 5 home runs and 47 RBIs last season at High Desert striking out 93 times in 331 at-bats. Not much really positive to say except maybe with a new challenge he surprises us all. Tyler Marlette is probably the top catching prospect in the system right now. The 5th rounder in 2011 out of high school in Florida batted .304, with 6 home runs, 37 RBIs, 17 doubles and a .367 on-base percentage in 75 games for Clinton in 2013. He likely will start the season with High Desert, but could potentially reach Jackson if Hicks is promoted. The Generals open the 2014 season on April 3rd at Chattanooga.